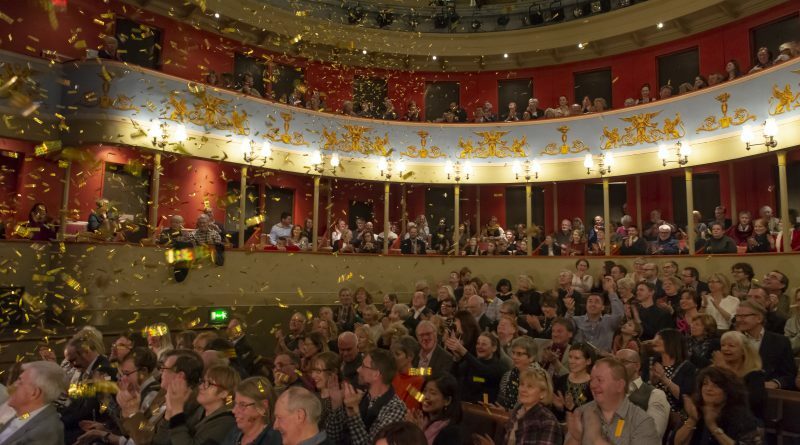 The Theatre Royal Bury St Edmunds is celebrating its 200th Anniversary this year and as part of the celebrations is holding a brand new immersive history experience with Close Encounters Live Interactive Tours where visitors can step back in time and interact with some of the fascinating characters from the theatre’s past. Ever since it opened in 1819 the theatre (or The New Theatre as it was originally called) has played host to many wonderful characters. William Wilkins, the architect who was responsible for the design and construction of the theatre; W S Penley, the comic actor who starred in the world premiere of Charley’s Auntin a part written specifically for him; Florence Glossop-Harris, the talented, gracious and charming actress who took over as lessee of the theatre in 1910; and Air Vice Marshal Stanley Vincent who spearheaded the campaign to reopen the theatre in the 1960s and rescue it from its debilitated state as the Greene King barrel store. These are just some of the characters may encounter on your travels round the theatre. With timed entry, visitors are invited to explore the theatre at their own pace, with a suggested route which will allow them to discover the characters in situ. Close Encounters Live Tours of Theatre Royal run on selected dates throughout the year from Saturday, April 13, until Saturday, September 7. For full details of the schedule and to book tickets contact the Box Office, call 01284 769505, book online at www.theatreroyal.org/shows/close-encounters-live-interactive-tour-of-theatre-royal/or visit the theatre in person. ← Could you lend a hand at charity dog show?